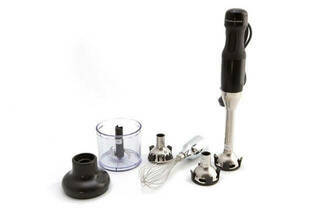 Snapshot: The Braun Multiquick 7 MQ775 Patisserie is a hand-held blender for hard and soft foods. How does it rate? Excellent results in our ice-crushing test. Comes with a selection of attachments in a sealed storage box. Comes with a pan guard to protect bowls and saucepans from scratching.